I have been enjoying my little self imposed blog break, spending lots of time stitching and watching tv. It's not the most supremely productive way to spend my afternoons and evenings, but it's been just what I needed to rest and relax. 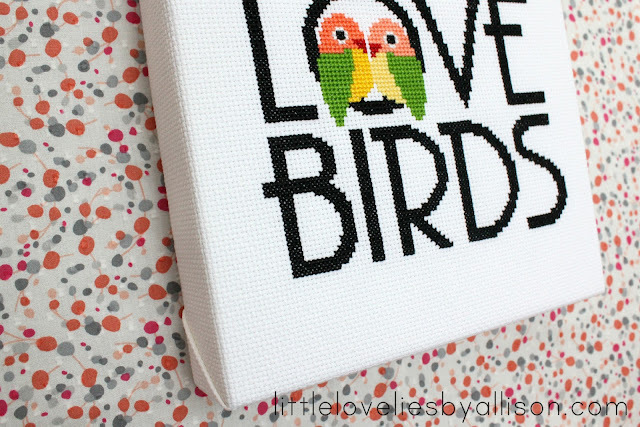 This sweet pattern comes from sewing seed on Etsy. 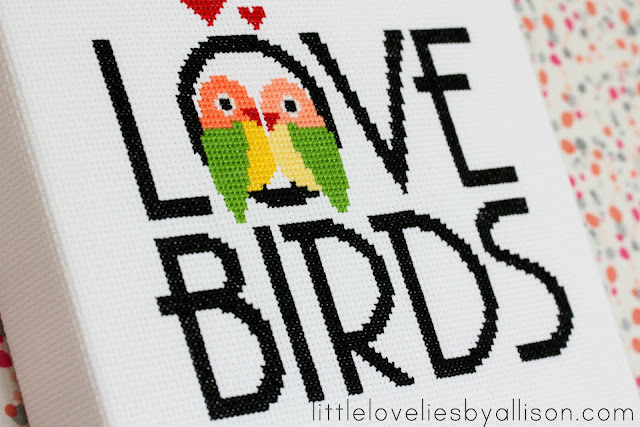 I love her cross stitch pattern shop and wish I had more time to work on a few more of her patterns - there are just so many cute ones to choose from. Usually I leave my cross stitch or embroidery work in the hoops, but I decided to try something a little different this time. After finishing my work, I used my hot glue gun to "wrap" it onto a canvas I picked up at Michael's. Center your work and glue down the fabric, pulling taut as you glue. I glued the top, then bottom, then left and right sides of the piece. I was left with the corners, which I just folded neatly and glued down. I really love this method of finishing - it really seems to make this simple needlework into a piece of art. The canvas I bought is thick enough to stand on its own, or can also be hung on a wall. 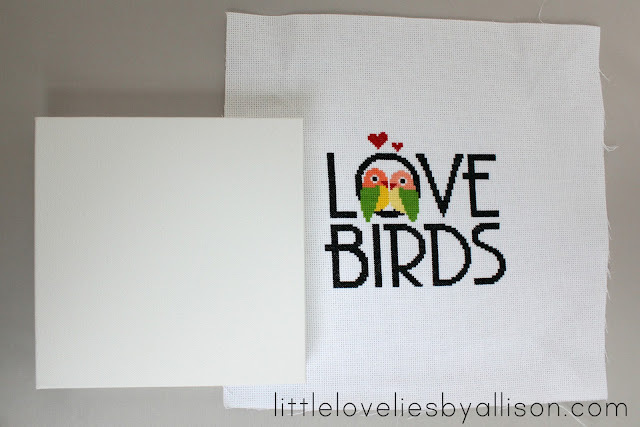 I don't know what my next project will be, but I am really loving cross stitch these days. Are you working on any stitching? Share in the comments - I'd love to see! I just finished the cameo that you posted about several weeks ago. I love it! I think I'm going to finish like you just showed here. I'm absolutely in love with this pattern! You're right about her shop though. Way way too cute! How you chose just one pattern is beyond me. 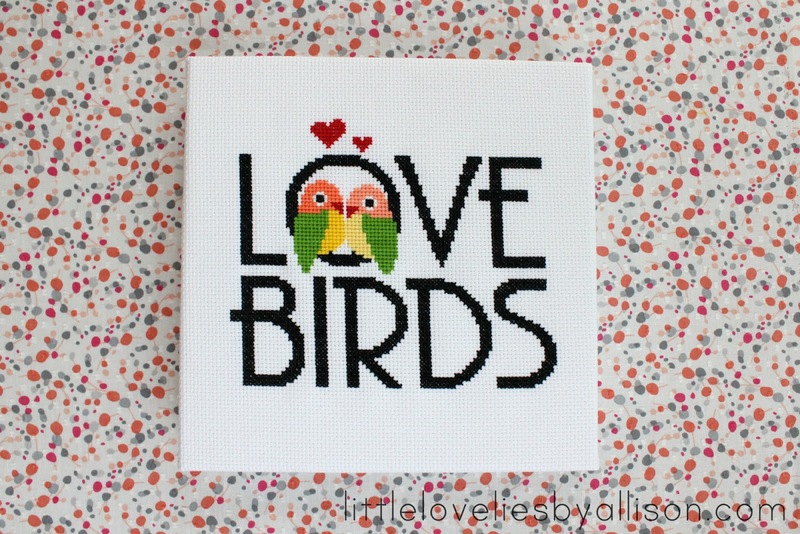 And I love the idea of gluing it to a canvas. I've never even considered that before! Love the idea of putting them over canvas! I get tired of hoops. I am not stitching anything right now - concentrating on crochet and quilting this month! 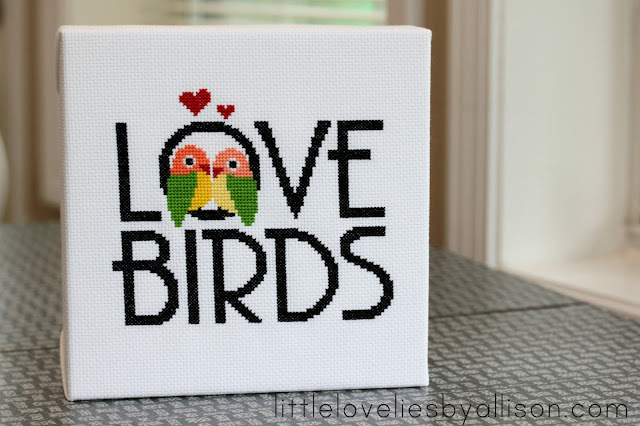 That is so cute, I love finishing off my pieces by framing them with canvas too. Love it and her shop has the cutest designs! I really love how you finished it using the canvas. Oh my word I adore this!! 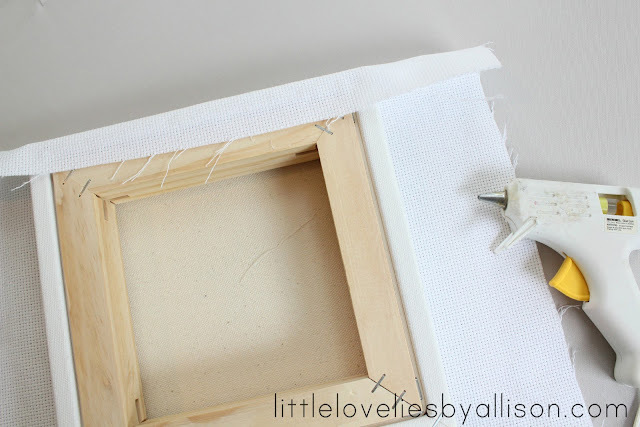 And gluing a piece to canvas? Genius idea!! So modern looking. This one is going on Pinterest for sure. This is SO cute! I love the look of it wrapped around a canvas!